The RM5 mic clip effectively secures your microphone to its stand without interfering with its polarity or frequency response. 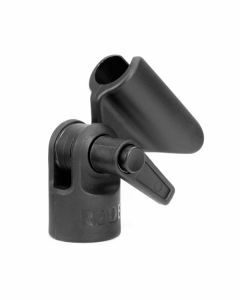 Using RODE stand mounts ensures that your microphones performance is not interfered with. Inferior stand mounts may interfere with the pick up patterns and frequency response of a number of microphones as they are not designed to exact specifications.